Discover what happens when your students step out of their daily routines and activate their engagement. Author Katherine Mills Hernandez argues that movement, talk, and the physical environment of the classroom all contribute and influence students’ learning. The ideas in Activate will help you create a classroom optimized for deeper engagement and lasting learning. No matter what subject you teach, Katherine invites you to shift your attention from what you are doing in the classroom, to what your students are doing as the catalyst for learning. She provides insights into instruction through real classroom lessons as she gives you the tools to better assess your students’ engagement and energy levels. 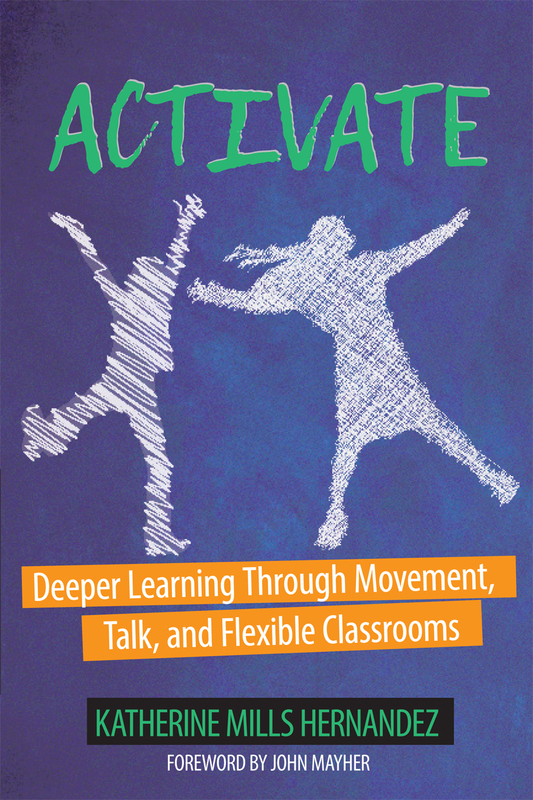 The book describes practical ways to incorporate movement into the classroom routine, based on research on how an active brain generates true learning. Katherine invites you into her own classroom by sharing vignettes from lessons and activities, opening up the pages of her own learning journal, sharing pictures from her classroom, and examples of classroom charts. She also provides a comprehensive bibliography on the research behind the science of movement and talk and how they affect learning. Katherine Mills Hernandez is determined to empower kids, helping them discover how literacy enriches their lives and serves their dreams. An NYU graduate with nine years at The Clinton School for Writers and Artists, and a consultant for Teachers College Reading & Writing Project and National Writing Project, Katherine remains passionate about teaching and learning. Katherine Mills Hernandez grew up in Brooklyn and Haines Falls (in the Catskills), New York, and currently lives in Pennsylvania’s Pocono Mountains. From earliest memories, writing was a need, more than a passion, and journaling quickly became as routine as the midday meal.